Unless you’ve been living under a rock, you’ve probably at least heard of Bitcoin in the headlines. For those who don’t know, it’s a type of virtual currency based on cryptography and a shared public ledger known as a block chain. The shared public ledger is designed to decentralize the currency so that no central authority has control. Bitcoins can be traded through any connected network node without regard for political borders. It’s model is deflationary and will cap out at 21 million Bitcoins total. As of Feb. 2017, there are 16 million Bitcoins in circulation valued at around $17 billion. All the gold in the world, by comparison, is worth roughly $8 trillion. For further comparison, there is $70 trillion invested in all global stock exchanges. In its infancy, Bitcoin allowed any regular person to earn Bitcoin by participating in processing transactions for the shared ledger using their home computer. The design of Bitcoin fostered growth of the decentralized network to create many thousands of individual network nodes to process transactions and maintain “decentralization”. The Bitcoin protocol, however, is designed for ever-increasing complexity of cryptography which requires ever-increasing processing power to create transactions. Today, most nodes of the network verifying transactions of the main ledger are limited to businesses who have invested in specialized cryptographic hardware. Massive buildings in various parts of the world are stacked with rows and rows of specialized computers. This threatens the “decentralized” aspect of Bitcoin. Should 50% or more of all nodes come under a single authority, the Bitcoin network would be exposed to risk of unilateral modification which might leave Bitcoin-holders in limbo. Direct ownership of Bitcoin, or any other virtual currency is extremely risky. Home computers and laptops are inherently prone to viruses and hacks that are designed to steal your “virtual wallet.” Once a hacker has access to your Bitcoin wallet, they can anonymously transfer it to their own wallet without leaving a trace. You really have to know what you’re doing to protect yourself. Most of us have no idea. By far, the most popular way of owning Bitcoins is through third-party “exchanges” which facilitate the purchase and selling of the virtual currency in addition to transacting Bitcoins across the network. Many Bitcoin exchanges have been hacked themselves. In 2014, the largest exchange at the time, Japan-based Mt. Gox, was cleaned out for nearly $500 million worth of Bitcoin. Nothing was recovered. No insurance. No guilty parties found. It’s as if someone pushed the “delete” key on the investors’ money. The digital nature of virtual currency exposes many unknown and complicated ways in which value can evaporate into thin air - even when using an indirect exchange. 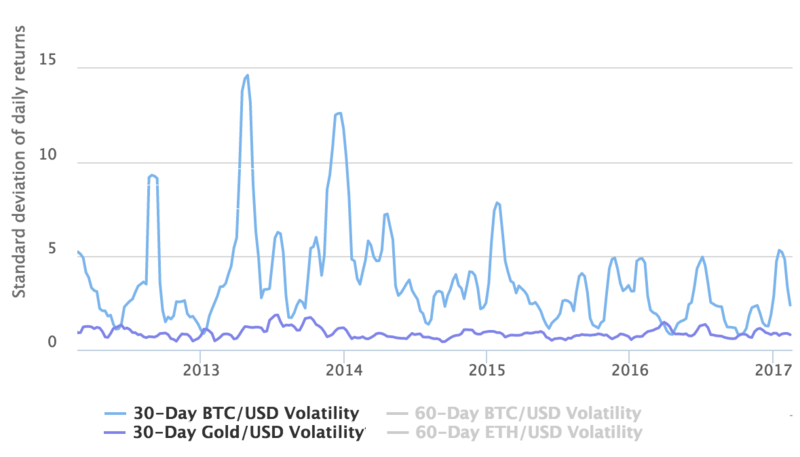 Exchanges are beholden to the whims of changing regulations and contributes greatly to Bitcoin price volatility. While some legislation has been passed in various local jurisdictions(eg. the “Bitlicense” needed for New York-based exchanges), there is still a long way to legal acceptance. The Winklevoss twins are attempting to create a stock-listed ETF to allow investors another indirect method to invest in Bitcoin. The SEC’s approval or disapproval which drastically affect the price. The anonymous and uncontrollable nature of Bitcoin makes governments leery of acceptance as they too recognize the many risks it poses to investors in addition to threatening its own more traceable investment vehicles. The immense popularity of virtual currency in China means Bitcoin’s price is highly linked to the policy of Chinese regulators. While some exchanges have been shut down in the US for money-laundering practices, the Chinese government has been unpredictable with how and when it regulates its own exchanges. Some estimates indicate that over 80% of Bitcoin trading volume is through Chinese exchanges. Most recently, the Chinese government has put a 30 day withdrawal freeze on its Bitcoin exchanges which depressed its price. Letting foreign governments influence the value of an already-risky “currency” makes for an uncomfortable investment. Lastly, even if virtual currencies become “accepted”, there’s no guarantee that Bitcoin will maintain its dominance as the best virtual currency. Investors shouldn’t expect that Bitcoin will be transacted in the same way people pay for stuff with traditional credit cards. There are many technical limitations to bitcoin which prevent it from being used in the same way. Bitcoin is very slow for processing transactions. For example, a transaction confirmation time for Bitcoin range from anywhere between 10 minutes to multiple hours. Currently, Bitcoin is limited to around 7 transactions per second. By contrast, Visa processes around 15,000 transactions per second. There are over 700 known competing types of crypto-currencies which have various complicated underlying technical differentiations. At this time of writing, seven of those currencies have over $100 million market cap. Bitcoin may have been the first currency, but like many things in software, the first version will never be the best version. Why buy gold vs a virtual currency? While many commentators have drawn similarities between Bitcoin and gold, they are incomparable for investors looking for a dependable investment. Ancient civilizations from various parts of the world have always held gold in high esteem. Its earliest use as currency is recorded in 600 BC. The gold trade has existed for millennia as a useful material in jewelry, computers, medicine and financial-backing. By comparison, Bitcoin has only been in existence since 2009. Obviously gold is more mature. The mining and production of gold is generally limited by the rate in which it can be mined. The total amount of mined gold grows steadily at around 2% per year. It is estimated that there is 171,300 tonnes of above-ground gold. While Bitcoin mining is supposed to cease at 21 million, it’s entirely possible that the the Bitcoin community chooses to modify this self-imposed limit. Or worse, find itself in disagreement over it. Unlike gold, Bitcoin cannot be used as collateral in a loan. 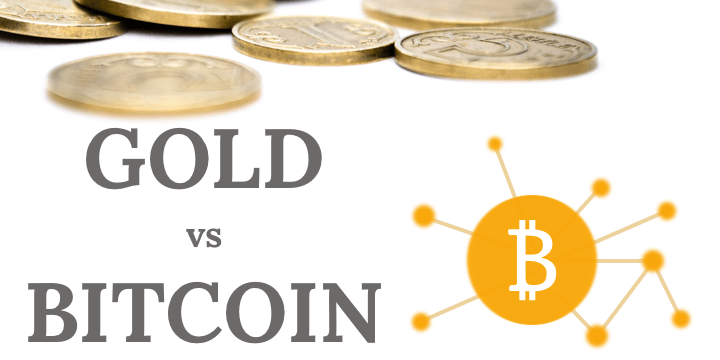 In the battle of gold vs Bitcoin, there’s a clear winner for the investor looking for a sound, reliable investment that has stood the test of time. Nothing will ever compare to the security of owning physical gold.